A younger me, as part of a collage pic made a number of years ago. This is WB8LZR / CW aficionado extreme. 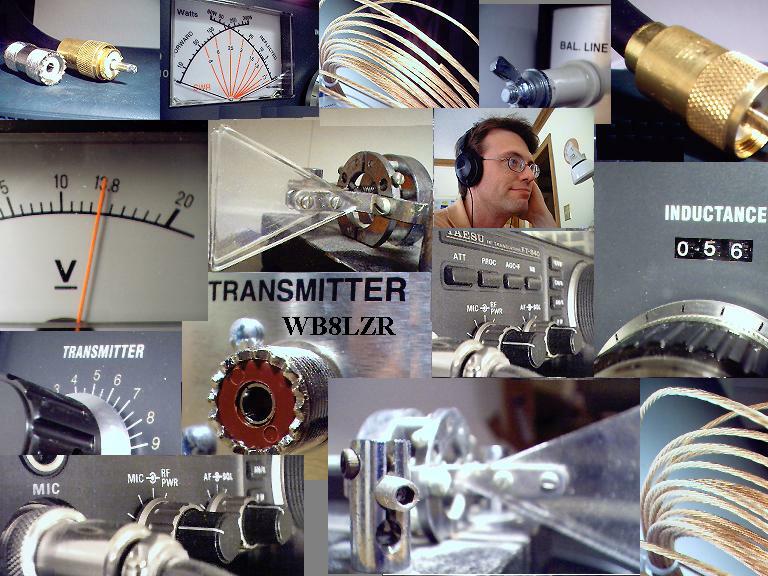 This WP blog is dedicated to the author’s amateur radio hobby, and related pursuits. This entry was posted in Uncategorized and tagged amateur radio, antenna, code, cw, ham, ham radio, radio, receiver, transceiver, transmitter, WB8LZR. Bookmark the permalink. You’re correct about the latency. I suppose that instead of “real time” I should have sent “reconstructed real signal” – in our QSO. Hi Hi. I can listen to the SDR and know whether or not the signal sounds good, but the latency makes it hard for the brain to manage the paddle fingers in accordance with the cw audio. There’s no way around it AFAIK, since it takes processing time to reconstruct the signal. What I do is to listen to both audio sources at the same time, with the OMNI sidetone turned way down, and then can send the CW OK, and also listen to the tone of what I’m sending. It was un-nerving at first, but I guess I trained my brain to do it. I went to YouTube.com and watched your video. Thanks for that excellent “how-to” video. I should probably put the mod into my model A. I must say your OMNI is super clean, and I like that Rigol scope too!